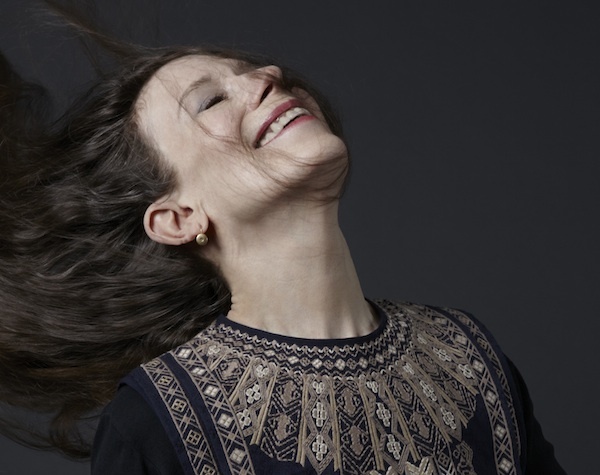 On the heels of last year’s celebration of her 50th season as a performing and creative artist, the White House has announced that Meredith Monk will be among the recipients of the 2014 National Medal of Arts. The highest award given to artists and arts patrons by the United States government, it is awarded by the President of the United States to individuals or groups who “…are deserving of special recognition by reason of their outstanding contributions to the excellence, growth, support and availability of the arts in the United States.” President Obama will award the 2014 National Medal of Arts and the National Humanities Medal in the East Room of the White House this afternoon, September 10, at 3 p.m. Eastern. The First Lady will attend, and the ceremony will be streamed live at WH.gov/Live. See below for full list of recipients. A modern icon of the performing arts, Monk is a pioneer of what is now called “extended vocal technique” and “interdisciplinary performance,” and has been hailed as “a magician of the voice” (The New York Times) and “one of America’s coolest composers” (Time Out New York). Her work has been presented by BAM, Lincoln Center Festival, Houston Grand Opera, London’s Barbican Centre and at major venues in countries from Brazil to Syria. Among her many accolades, Monk has received a MacArthur “Genius” Award, two Guggenheim Fellowships, three “Obies,” and two “Bessie” awards for Sustained Creative Achievement. She holds honorary Doctor of Arts degrees from Bard College, the University of the Arts, The Juilliard School, the San Francisco Art Institute and the Boston Conservatory. Recent honors include her naming as an Officer of the Order of Arts and Letters by the Republic of France and as the 2012 Composer of the Year by Musical America. Monk is also one of NPR’s “50 Great Voices” and has received a 2012 Doris Duke Artist Award and a 2011 Yoko Ono Lennon Courage Award for the Arts. The 2014–2015 season marked her 50th year as a performing artist, during which she was honored to hold the 2014–2015 Richard and Barbara Debs Composer’s Chair at Carnegie Hall. The National Endowment for the Arts and the National Endowment for the Humanities were established by the Congress in 1965 as independent agencies of the Federal Government. To date, the NEA has awarded more than $5 billion to support artistic excellence, creativity and innovation for the benefit of individuals and communities. The NEA extends its work through partnerships with State arts agencies, local leaders, other Federal agencies and the philanthropic sector. The National Endowment for the Humanities brings the best in humanities research, public programs, education and preservation projects to the American people. To date, NEH has awarded $5 billion in grants to build the nation’s cultural capital—at museums, libraries, colleges and universities, archives and historical societies—and advance our understanding and appreciation of history, literature, philosophy and language. Both Endowments are celebrating their 50th anniversaries this year.